The announcement was made in Auckland, New Zealand early this morning that Durban is to be the first ever African city to play host. Moses Mabhida Stadium will play a major role in the hosting of the games, while the Rachel Finlayson Swimming Complex, just a few kilometres away on the promenade, will serve as the aquatics centre. To date, South Africa has successfully hosted the three biggest single-sport events including the cricket, rugby union and football World Cups. As the FIFA World Cup did in 2010, 2022 will be yet another milestone as the African continent gets set to host it’s first ever Commonwealth Games. 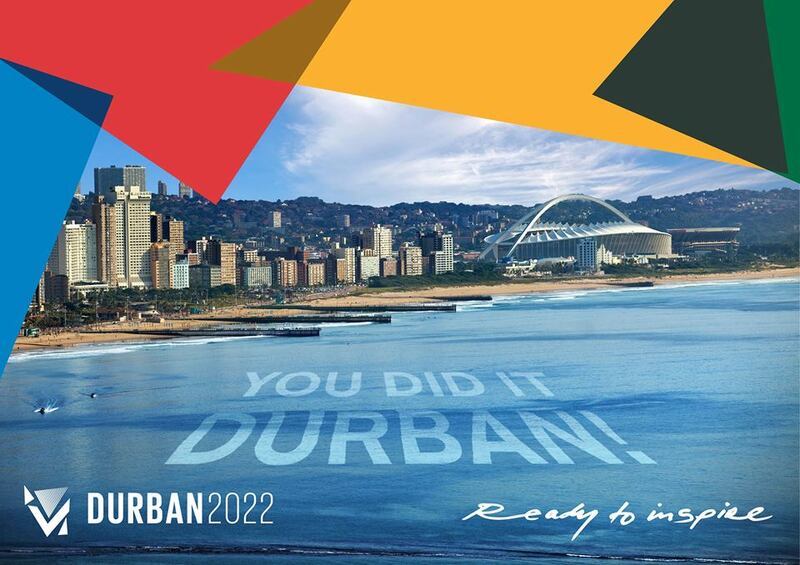 This is an extraordinary day for Durban, a momentous day for South Africa and an historic day for the African continent. “There can be no better symbolism for South Africa and the Commonwealth of Nations to mark its first ever Games in 2022 in Africa with the opening ceremony on 18 July – the birthday of the greatest statesman of our times, a Nobel Peace Prize Laureate, a hero and role model for many, young and old – Nelson Mandela”, added the Durban Mayor. Playing host to the athletes of the Commonwealth Games will be a huge step forward in the sporting history of South Africa and Africa as a whole. We look forward to welcoming the world to the very first Commonwealth Games on African soil.